BMW engine M40 was designed as a new power unit for 3 series E30. It was produced from 1987–1995. From its predecessor M40 received already familiar design cast iron cylinder block, but aluminum head have already been applied lifters, which together with the change of chain drive camshaft belt on made the engine much quieter. However, in the following model M was again used chain drive camshaft as well as in modifications of this engine M42 and M44 engine that had 4 valves per cylinder. 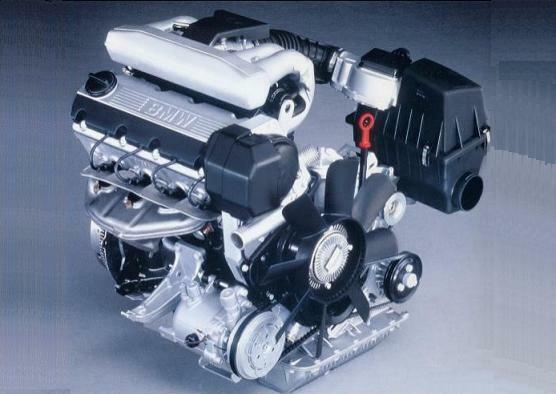 The M40 engine uses Motronic 1.3 fuel injection system. It is in general a reliable engine, with some units approaching 300.000 miles without being overhauled. But there are some issues with hydraulic tappets. They are are known for ticking over time, this is usually due to wear from oil starvation and poor maintenance, also M40 engine is more susceptible to lobe wear than any other E30 engine, usually caused by a blocked oil spray bar and a poor combination of materials. When the cam is worn, the engine will not "rev" high and the only solution is to replace it.